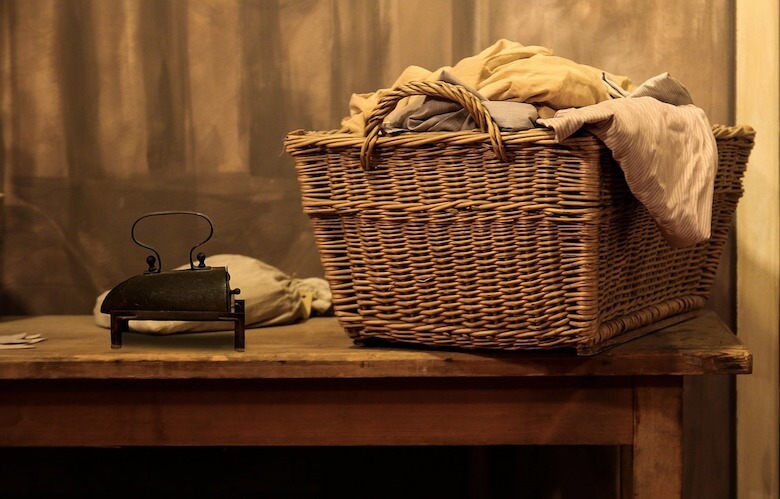 We get lots of comments and questions about various aspects of caring for linen – from stains on linen tablecloths to fading colours in clothes. 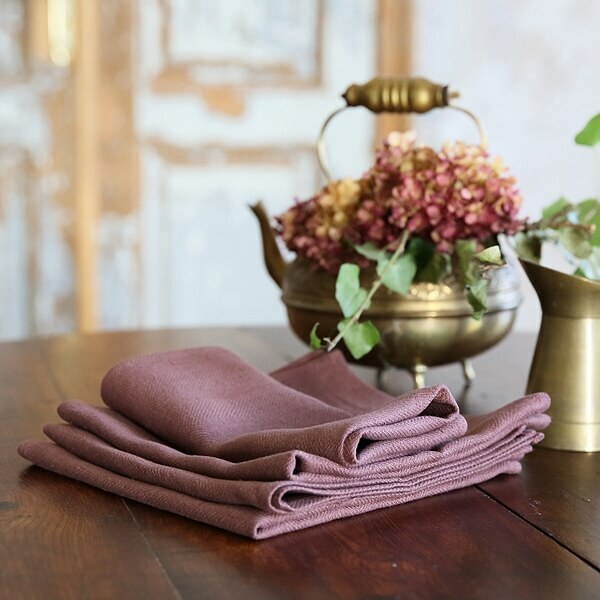 Whilst all our products are made with top-quality pure linen, are properly dyed and fixed, and are pre-washed to avoid shrinking, we know that many of you have had problems with items from other sources. So we thought we would do some troubleshooting and round up these queries into one place that will help you care for your linen. Q. My linen has been dry cleaned. Can I wash it back to softness? If your linen item has been pre-washed it won’t shrink further and should be safe to wash, but use very low temperatures to be safe. Fabric softener should help too. Q. Do linen products need treating before first use? Sometimes retailers will tell you to soak your linen in cold water and vinegar before use. This may be because the linen is poor quality and requires softening, or they are worried about the colours fading. All LinenMe products are pre-washed so they are super soft already, and our expert dyeing process ensures colours will stay bright. Q. Why do I get lint from linen tea towels? The looser the weave, the greater the amount of lint produced, so choose a tighter weave, like the fabric we use in our highly absorbent tea towels. Washing a few times may reduce the lint deposited if the fabric is good quality. Q. Will my linens shrink? If your items have not been pre-washed there is a chance that they will shrink after the first wash. Follow the manufacturer’s care instructions and choose low temperatures in the wash and tumble dryer. Good quality European linen shrinks 5% on first wash, which is why we always pre-wash our linen before we sell it. Poorer standard linens will shrink more. Q. How can I avoid pilling? Use tightly woven linen fabrics and wash in a detergent with enzymes to reduce pilling. It’s not possible to completely avoid it, but this should minimise it. Q. Should I use fabric softener on linen products? Yes, it’s fine to use fabric softener to add extra softness for bedding or towels, but it’s not essential as linen softens naturally with every wash. Adding a splash of vinegar or lemon juice to the wash will have the same effect (but lemon juice may affect colour-fastness). Q. Why is my linen fading? Colour fading occurs when linen has not been properly processed. A reputable manufacturer will ensure that dyes are fixed. Fading will be worse on the first wash, and then should reduce. Use gentle detergent, low temperatures and avoid shoddy quality linen goods. Q. How do I remove rust from linen? We’ve got a whole post on this here. Q. Can I use bleach on linen? It’s ok to use bleach on good quality white linen items, but you should never use it on coloured or poorer standard linen fabrics. Always read your garment’s care instructions, and avoid using bleach on older or vintage linens. Q. Can I wash musty-smelling vintage linens? If there are no care instructions, try washing a small area by hand in cold water first. If the linen seems fine, try machine washing on very low or the delicate cycle and add fabric softener to give a pleasant smell. Q. Should I pre-wash linen fabric before sewing? Yes, as the linen will shrink when first washed and this can make it tricky to get sizing right if you are sewing with the fabric. Once you’ve washed it and made your garments, good quality linen won’t shrink again if washed properly. Q. How do I remove stains from my linen? 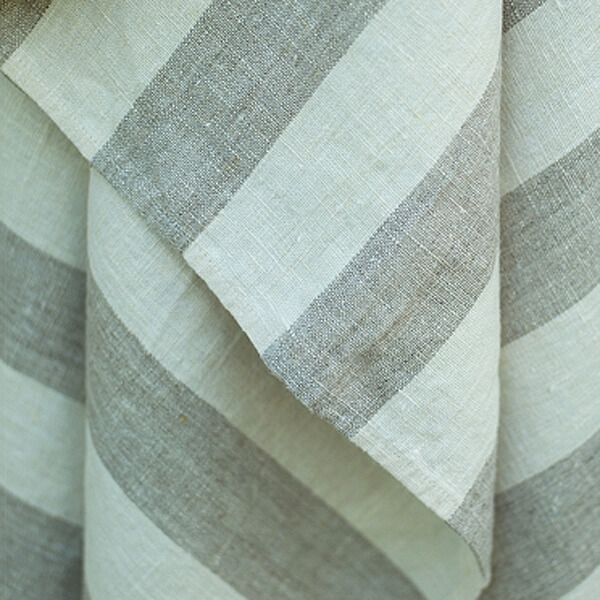 Check out this post for details of stain removal from linen fabric. Q. How do I iron my linen tablecloth? We at LinenMe love the natural crinkles and creases in linen fabric, but if you want something crisper and more formal here’s what to do. While the item is still damp give it a good shake and then crack, as if cracking a whip. Turn inside out (if clothing) and lay on a towel. Iron whilst still damp on as low a temperature as possible. Fold and store once it’s dry. We hope that gives you all the information you need to keep your linen products looking great and performing brilliantly. The key is to buy only good quality linens from a reputable manufacturer. You will save money in the long run – even if the products are more expensive initially, they will last far longer than cheaper, lower quality fabric and won’t need replacing as much (which is also great for sustainability). And they will need less care. Which leaves you time for all the other things you’d rather be doing. What detergents/soaps can to be used to washing linens? I’m new to linen? Need all help I can get. I use regular detergents and soaps. The key is to use lowest possible temperatures when washing linen. You could find more tips here. Bought a linen placemat at Pottery Barn…..washed in cold water and it still shrunk about an inch in each direction. They’re expensive and the LinenMe placemats (everything really) are much nicer and don’t shrink!